It is not skepticism that is at fault for science’s lack of movement into the future… It is fear, conservatism, and dogmatism. It is pseudoskepticism which clings to a scientifically disproved belief system, a triumvirate of ancient philosophies: materialism, rationalism and naturalism.” — Ralph Abraham, Professor of Mathematics, University of California-Santa Cruz. During the course of over forty-five years I have been an advocate for natural healing and have counselled numerous people in wellness, lifestyle and behavioral modification, nutrition and diet, physical exercise training, and mind-body therapies. I have witnessed numerous successes including remission from terminal cancers, reversal of illnesses otherwise assumed to be death sentences such AIDS and Alzheimer’s, autism, multiple sclerosis, diabetes, severe autoimmune and inflammatory conditions, etc. There is nothing miraculous about any of this. In fact, it is nothing out of the ordinary. We too are skeptics (small “s”), not only concerning divine intervention of phenomena that portends to be miraculous but also the far-out New Age health practices that have never undergone any manner of clinical or scientific scrutiny. 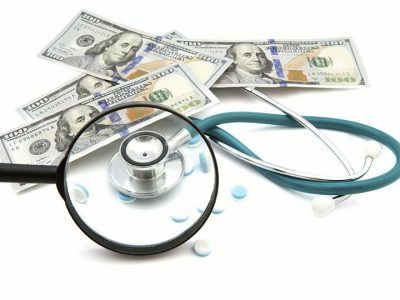 However we are also skeptical about what parades around in conventional medicine as being sound-evidence based therapeutic protocols is in our opinion controlled and dominated by private money interests. And we are deeply skeptical and concerned about the serious limitations in the 19th century Cartesian reductionist view of the human body, anatomy and biomolecular activity. This paradigm, which should have been abandoned decades ago, is the one fully endorsed by the Skeptic medical doctors and its small radical faction of Skeptic physicians who market themselves under the banner of Science Based Medicine (SBM). And it is the same belief system endorsed and promulgated by Wikipedia’s co-founder Jimmy Wales. What Skeptics criticize as magical thinking and placebo effects, particularly in the eradication of life-threatening diseases by alternative medical modalities or traditional healers, are in fact based upon laws of physics and biophysics that have yet to enter mainstream medical thinking. Much remains unknown or misunderstood with respect to human biology. And there are certainly innumerable physical laws, for example the field of “quantum entanglement” between mind and matter or energy that have not been thoroughly theorized. Yet the evidence is conclusive that further research in biophysics to understand the principles behind alternative medical systems that Skeptics don’t and refuse to understand and appreciate is warranted. Unlike current medical science, even Evidence-Based Medicine (EBM) strategies, quantum mechanics is a far more verifiable science. And this research is especially critical because conventional medicine continues to fail to meet its promises to patients; it is too costly for a growing number of people, and it is far too compromised by corporate profits and junk research to provide any assurances for a better future in healthcare and medical intervention. Nevertheless the positive results of nonconventional and traditional medical systems and Alternative and Complementary Medicine (CAM) cannot be debunked nor dismissed easily by Skeptic’s amateur and irrational arguments and biased assessment of their personal beliefs. Although Skeptics repeatedly chant the mantra that reason should be the sole means to determine the efficacy or failure of a medical intervention, their arguments are in fact surprisingly irrational and often comical. On the one hand, SBM followers acknowledge the health benefits of a wholesome diet; yet they oppose functional nutrition therapies, especially supplement and herbal regimens as a means to prevent and treat disease. Because they have completely bought into biotech agriculture, they see no benefit to consuming organic foods. Genetically modified crops are in their estimation superior or a least “substantially equivalent.” They argue that alternative medicine, particularly naturopathy and homeopathy, costs lives, either due to these natural therapies themselves or because these therapies divert people away from receiving conventional medical attention. At the same time Skeptics downplay and more often completely ignore the deaths of hundreds of thousands of patients annually from iatrogenic injuries due to their own profession’s overreliance upon pharmaceutical drugs, excessive radiation exposure and unnecessary surgery. But perhaps our favorite is SBM’s incessant diatribe that the countless successful treatments from natural and alternative therapies, which has been used for several millennia, are nothing more than placebo effects. Worse, the placebo effect is framed as a terrible thing although it has been intrinsic to healing since humans first made efforts to treat disease and illnesses. In fact, the dichotomy lies in the fact that these same Skeptics oppose mind-body and energy therapies, which are anathema in organized Skepticism. Nevertheless integrative medicine follows psycho-physical principles analogous to the placebo effect. It follows the powers of the mind that have been shown repeatedly that health can be improved through beliefs, expectations, social relationships and even faith. The importance of positive thinking and beliefs are the underpinnings of placebo effects. Researchers in the neurocognitive sciences and immunology have uncovered reproducible evidence that what we think and feel triggers biological changes. We no longer need further proof that this occurs. What we do need to explore are the underlying physical laws that contribute to these changes. However as Dr. John Ioannidis at Stanford University’s Prevention Research Center argues, it can take upwards to three decades for ground-breaking discoveries in the health sciences to eventually reach the attention of mainstream medicine. And most such discoveries are forgotten altogether. For example, if an elderly person forgoes the influenza vaccine but lives a remarkably healthy life, eats plenty of fresh produce, takes supplements, exercises and daily meditations for stress reduction and doesn’t come down with the flu, Skeptics will argue that the person was lucky because she or he was not exposed to the virus. If the same person receives the flu shot and doesn’t become ill, then Skeptics say it is 100 percent due to the vaccine’s efficacy. Or, in recent years a gradual decline in cancer mortality rates has been observed. Simultaneously, more people than ever before take natural supplements daily, eat organic produce, visit alternative health practitioners and make positive steps to change lifestyle behaviors. According to an earlier survey conducted by the federal National Center for Complementary and Integrative Health, 69 percent of patients did not inform their primary doctors about their personal use of supplements and herbs nor receiving a nonconventional medical therapy. Therefore, is the falling mortality rate due to earlier clinical diagnosis, better chemo drugs and oncological medical intervention or is it because people are naturally strengthening their immune systems to fight cancerous cells? Skeptics can only answer these questions if they deny the healing capacity of our inherent mind-body relationship, which they categorically do. The fundamental dichotomy underlying the entire SBM ideology is that prior scientific plausibility ultimately trumps scientific evidence. In an earlier essay we noted that SBM supports Evidence-Based Medicine while also correctly recognizing EBM’s shortcomings. For example, many Cochrane Collaboration reviews of certain prescription drugs or classifications of drugs, vaccines, supplements and herbs will conclude that the clinical evidence to support efficacy claims is weak or the clinical trials were not sufficiently robust and therefore further research is recommended. Rather, in the SBM universe, further research should be discarded altogether because “prior plausibility” and reason should dictate that there is nothing worth pursuing or funding. One criticism SBM’s founders Steven Novella (Yale neuroscientist specializing in botox injections) and David Gorsky (oncologist and professor of surgery at Wayne State University) have against randomized clinical tries is that “prior plausibility” is underemphasized. The fallacies in this line of thinking are numerous, but two stand out: 1) SBM’s belief that “prior plausibility is deeply “rooted in science” and 2) the dogmatic hubris that we can rely upon our rational faculties to make precognitive judgments about what is medically effective or not. In the Skeptics’ reinterpretation of human biology, there are no more mysteries to be solved and studied. All we need are better drugs and conventional therapies and more patients placing their complete faith in their physicians and their professional expertise dictated by the corporate medical establishment’s dominant paradigm. In a damning Guardian opinion editorial critique about Richard Dawkin’s BBC special “Enemies of Reason,” a two-hour assault on religion and non-conventional medicine, Dan Hind lectures Dawkin’s about his hypocrisy in opining humanity’s entrance into an age of “endarkenment.” Dawkins is the principle architect of the New Atheism and arguably the leading outspoken voice within the global Skeptic movement. He believes that faith based practices, including alternative medical systems, are dangerous superstitions threatening civilization’s future and should be battled against diligently and immediately. He has even called for “guerrilla skeptics” to take faith-based practices to task. Instead, Hind states, Dawkins should put his attention on governments and corporations as the greater evil and the real enemies to human health. Dawkins fails to recognize the inherent darkness and destructive characteristics in the rationale behind the scientific paradigm he holds most dear. In effect, like pharmaceutical corporations who use perfectly rational means to promote irrationality to promote the effectiveness and safety of their products, so does Dawkin’s and his Skeptic followers rely on the illusions of their reason to convince people in accepting their irrational belief system. And it is with certainty that SBM’s leading voices are simply unable to wrap their minds around biophysical and quantum properties that support the efficacy of many alternative, natural medical systems, such as acupuncture, homeopathy and energy medicine. It is simply outside their profession’s paradigmatic way of thinking. Quantum mechanics, pioneered by Max Planck, Albert Einstein, Erwin Schrodinger, Werner Heisenberg and others, should have ushered humanity into the post-materialist world. Unfortunately modern medicine, and other sciences hijacked by private corporate interests, have lagged dismally behind. And worse, the Skeptic proponents of SBM are determined to prevent medicine from evolving beyond its current reductionist, materialist perspective. For that reason followers of SBM adamantly oppose funding research that may someday explain why and how alternative healing modalities have been successful for countless people around the world. Consequently Skeptics are the strongest opponents of the growing trend in CAM therapies entering medical school curriculums. She also worries about the enormous financial interests and influence drug companies have with medical school faculties. The integrity of medicine is being completely lost and SBM Skeptics’ denial and failure to put more attention towards this trend and simply continue with its witch hunts against natural health displays an arrogance that shows deep disregard towards public health. The majority of clinical evidence published in the peer-review literature, according to a 2007 survey conducted by the British Medical Journal, is of “unknown effectiveness” or “likely to be ineffective.” Only 15 percent of treatments approved by the UK’s Health Services were definitely “beneficial” and 22 percent were “likely to be beneficial,” leaving the remaining 63 percent as basically useless. Skeptics repeatedly argue that more evidence is necessary before they will accept the validity of a natural supplement or herb. Homeopathy and most acupuncture claims are rejected outright. But how much evidence is required. The SBM doctrine was founded in 2008, yet throughout the decade of its existence, the rhetoric has remained the same; more evidence and still more evidence is needed. And this is irrespective of the thousands of published peer-reviewed papers that accumulatively merits CAM and natural health therapies. Conversely, the mounting evidence against the safety and serious health threats of products SBM Skeptics support within their materialist paradigm are aggressively refuted. For example, at this moment, the carcinogenic risks due to exposure to Monsanto’s glyphosate herbicide is being reviewed and ruled in the European Union court. The evidence against the chemical’s safety is enormous, and the EU court has ruled that testimonies from farmers dying from glyphosate exposure will be heard. Is more evidence necessary? Skeptics argue it is because religious faith in a scientific paradigm prohibits them from budging an inch from coveted pseudo-scientific beliefs in the agro-chemical GMO paradigm. Is this not utterly irrational? SBM Skeptics become religiously monotheistic when the only measure to determine the health of person is that which can be medically supervised and validated by clinical or cohort statistics. Whether we follow a meat- or plant-based diet, eat organic or chemically laced foods, supplement our nutritional needs when we are deficient, or make concerted efforts to reduce life’s stresses, is irrelevant to Skeptics. Nevertheless, every positive choice we make has a positive result. The full measure of the scientific evidence shows that all these choices have a direct impact upon the state of our health and our longevity. Yet the only personal choice that matters to SBM Skeptics is the medical choice we make, whether to completely adhere to the full advice of our allopathic doctor or follow our magical thinking and become seduced into following an alternative health protocol or therapy. For Skeptics, such as Dawkins, Novella and Gorsky, and Wikipedia’s Jimmy Wales redemption and salvation are only found in our conversion to the pharmaceutical regime that now dictates our destitute medical paradigm. They are frequent contributors to Global Research. 2 Gorski DH, Novella SP. “Clinical trials of integrative medicine: testing whether magic works?” Trends Mol Med. 2014 Sep;20(9):473-6. 6 Culliton BJ. “Medicine as business: are doctors entrepreneurs.” Science. 1986 Sep 5;233(4768):1032-3. 7 D’Arcy, Moynihan R. “Can the relationship between doctors and drug companies ever be a healthy one?” PloSMed. 2009 Jul 21;6(7):e1000075. 8 Kirsch I. 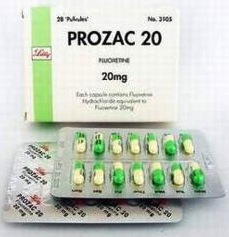 The Emperor’s New Drugs: Exploding the Antidepressant Myth. Bodley Head: London, 2009. Featured image is from MedPage Today.